351. Ya know, for as long as I can remember I've heard it said that it's cooler to drive your car to the drags to compete. Well, I have one word for that. WRONG! Here's my new toy box. All problems solved. Now I spend the weekend at the track in the camper. If the car breaks in any way, I can just use the winch to bring it into the box. Love it. 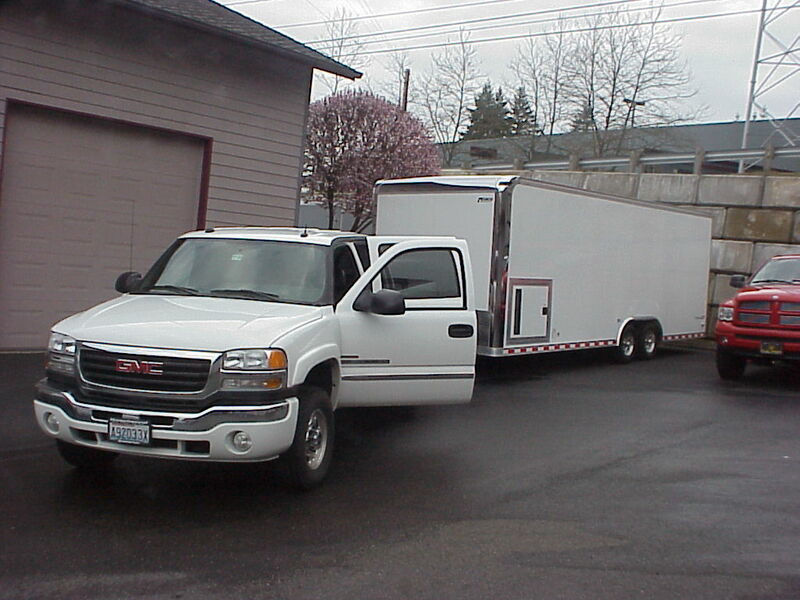 This picture was taken on April 1,'09 when picking up the trailer at the dealer.